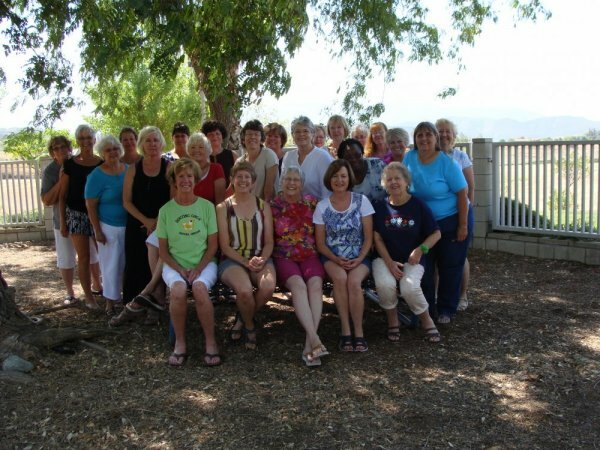 We would love to have you join us for the twelfth annual Quilter's Cottage Mystery Quilt Retreat at the beautiful Vina de Lestonnac Retreat Center in Temecula, California. Dates for the 2019 Retreat are September 5-8, 2019. We are able to offer an extra day of sewing on your own projects the day before the official retreat begins. Those who opt for a 4 day retreat at a cost of $550, can arrive in the morning on Thursday September 5. Lunch and dinner will be served on Thursday, plus breakfast on Friday morning. The traditional 3 day retreat begins at 5PM on Friday at a cost of $450. Both options end after Suinday brunch with a departure time of no later than 2PM. Vina de Lestonnac is so close to home, yet so far from the demands of every day. No cooking or cleaning, just a weekend of sewing with the girls. Your fee includes lodging (double occupancy), fabulous meals, your mystery quilt kit, prizes, and more. Payment can be made by calling us at (760) 723-3060 with your credit card. Full payment is requested no later than June 15, 2018. Contact us with any questions or if you need to make special arrangements. 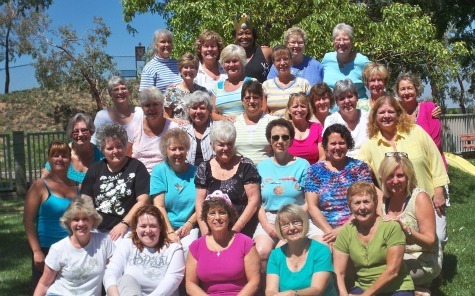 Congratulations to Jackie Kahl, who won a $100 Quilter's Cottage Gift Certificate at the 2013 retreat! Linda Flynn was the lucky winner of a $299 red Bernina chair--adjustable in 6 ways for endless hours of comfortable sewing. Many beautiful quilts were made and finished during and following the retreat.